If you like a little more adventure in your hike then the Buck Point Hike may be the ideal trail for you. 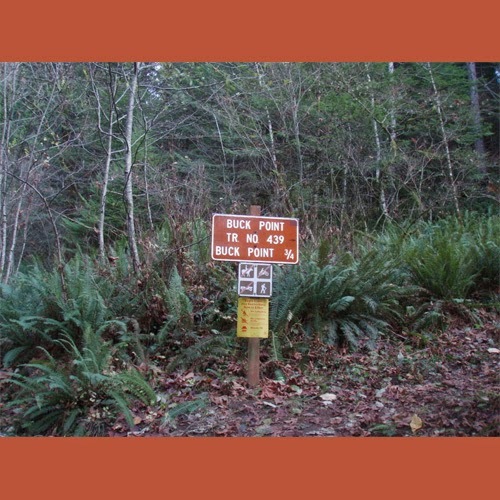 Buck Point Hike starts at the Eagle Creek Trailhead and requires the finding of the 'real' Buck Point Trailhead. If found this hike is 1.8 miles round trip with 570 feet elevation gain resulting in an overall difficulty level of moderate. This hike is available year round and is family friendly, ending at viewpoints of the Columbia River Gorge. Read details about the Buck Point Hike below. The hardest part of the Buck Point Hike might be finding your way to the "real" trailhead. Parking isn't available there, so you'll need to park at the Eagle Creek Suspension Bridge. You'll start by heading up the paved campground road for a bit, until you see a sign for Gorge Trail 400. The Gorge Trail climbs to the top of a bluff, then travels next to a protective fence for a ways. At a fork, take the right path signed for Buck Point. The left fork heads down to the Historic Columbia River Highway Trail. After passing a second fence, you'll find yourself at Campsite 11. Walk towards the right on the road and turn left on another road at Campsite 10. Between Campsites 5 and 6, you'll find a large sign reading "Buck Point Trail"
The sign says you have 3/4 of a mile to go, but it's closer to 0.4 miles. Hike up through a series of switchbacks through the forest. Near the top, you'll break out into a power line clearing. Just past an unmarked junction with Ruckel Ridge Trail, you'll arrive at Buck Point. Enjoy the views.